The marketplace model results in better loan terms and rates. The single prequalification application is a great way to expedite the loan approval process. LendingTree does not charge you any fees for connecting you with loan providers. There are excellent educational resources including insightful articles and helpful calculators. There is no FAQ section, which would provide a quick and easy way to get answers for most issues. LendingTree is not involved in helping you through the application process once you are matched. There is a lack of information on the website about the specific rates and terms offered by lenders. LendingTree offers to match you with lenders that can help you access financing for specific purposes such as major spending projects, home improvements, and debt consolidation. While LendingTree does not set interest rates itself, its lenders generally offer interest rates between 4.79% - 35.99%. Keep in mind that these rates may vary from lender to lender. LendingTree offers a fantastic range of repayment terms for its customers. While specific loan terms are agreed upon with the lender you select, LendingTree’s partners offer loan terms that may range from as little as 3 months to as much as 180 months. Interest rates are also highly competitive. 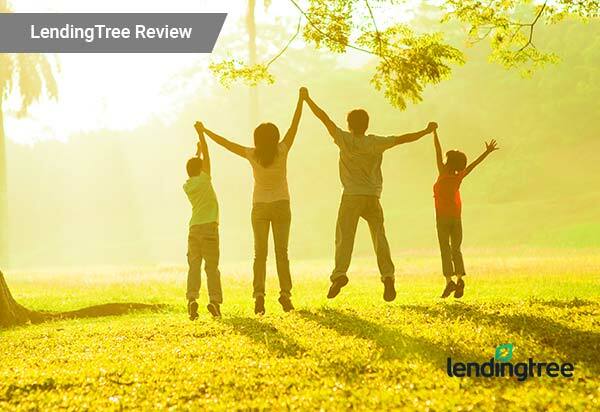 One of the benefits of LendingTree is that you can compare rates and terms across several competitors to find the option that best suits your needs, even for the same loan amount. It is important to note, however, that LendingTree does not directly set your interest rate or repayment term. The company works with reputable lenders, who offer transparent terms and will always negotiate directly with you before you sign any agreement. The security of your information is a top concern when using a service that shares personal data with loan providers. LendingTree recognizes this concern and addresses it by taking active steps to protect your data. While LendingTree does share your information with third parties, it devotes serious effort to ensure safety, and is transparent as to how that information is used and with whom it is shared. Additionally, the company utilizes strong encryption on all its webpages, meaning that any information you share is well protected and stored on secure servers. When it comes to APR, LendingTree's range of 4.79% - 35.99% is similar to other loan marketplaces like Even Financial and Credible. However, where LendingTree really stands out is its lack of minimum credit score requirement, meaning lenders its network will offer loans to borrowers who have less than ideal credit. Even Financial asks for a relatively low minimum credit score with 580, whereas Credible only accepts borrowers with credit scores over 680. LendingTree doesn’t stipulate any ironclad requirements for how you use your loan. The lenders the company links you up with can provide secured and unsecured personal loans from $1,000 to $35,000 for any purpose you need.